The number of dengue cases in the national capital and its adjoining areas has climbed to 55, civic officials said on Thursday. The civic bodies have taken various measures to control dengue in the city. 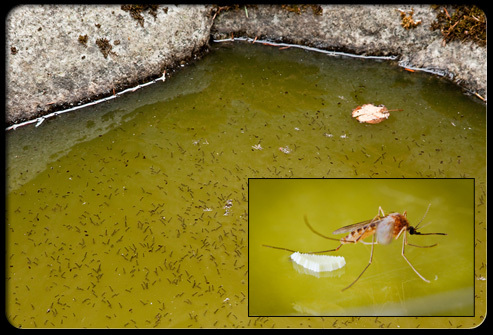 ‘People are being challaned for mosquito breeding. They are penalised by charging a maximum fine of Rs. 500’, said a civic officer. Three Indians who arrived at the Delhi airport on Tuesday morning from Ebola-hit Liberia have been isolated and taken for medical examination. A total of 112 people will be arriving on Tuesday at Delhi and Mumbai airports from the African nation. Government has taken elaborate precautionary arrangements. “As part of the tentative plan, the aircraft will be first taken to a remote bay and all passengers will be screened at the step-ladder exit after the arrival of flights at the Chhatrapati Shivaji International Airport (CSIA),” Mumbai International Airport Limited (MIAL) said. While the passengers without any symptoms will be cleared and shifted to the terminal for immigration and customs clearance, those coming from Liberia with symptoms suggestive of EVD will be shifted to designated hospital in ambulance from the bay, it said. According to MIAL, Ethiopian Airline, Emirates, Etihad, Qatar, Jet and South African Airways are flying these passengers to Mumbai. Some of these passengers will first arrive in Delhi and then leave for Mumbai by domestic airlines flight, MIAL said. Mial also said the baggage of the passengers needs to be kept separate by the concerned airline in their custody, adding disinfection of the flight will be carried out once all passengers would be deboarded. Flights will be allowed to board the next batch of passengers only after thirty minutes of disinfection, it added. 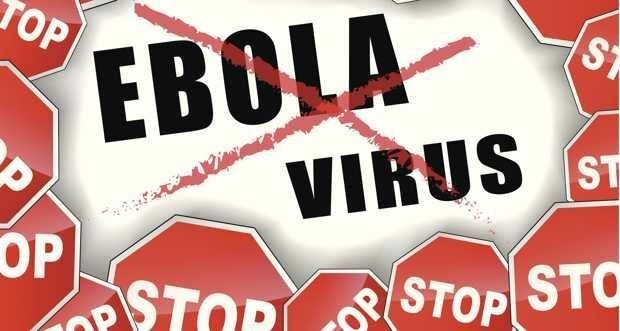 The union health ministry on Tuesday said that as on date, there is no confirmed or even suspected case of the dreaded Ebola Virus Disease (EVD) in India. The World Health Organization (WHO) has reported 1848 cases including 1013 death due to Ebola Virus Disease, as on August 9. The affected countries are Guinea, Liberia, Sierra Leone and Nigeria in western Africa. A 28-year-old male traveller from Nigeria manifesting symptoms of upper respiratory tract infection at the Indira Gandhi International (IGI) Airport on Saturday was taken to the Ram Manohar Lohia Hospital for observation in the morning of Sunday. He has been tested negative for EVD in tests done at National institute of Virology, Pune and National Centre for Disease Control, Delhi, according to an official statement issued on Tuesday. The cabinet secretary took a meeting on Tuesday with secretaries and senior officers of ministries of health, civil aviation, home affairs, external affairs and information & broadcasting to review preparedness of the government on EVD, the statement said. “There is no reason for getting worried over the odd case of a visitor to the country arriving in an indisposed condition. We have all the mechanisms in place for prompt treatment and subsequent monitoring,” Union Health Minister Dr Harsh Vardhan said on Monday. The two passengers who reached Chennai on Saturday — a 27-year-old-male who travelled from Guinea and a 40-year-old-male who travelled from Liberia — are in good health and they are under observation, according to an official statement issued on Monday. Dr Harsh Vardhan on Sunday (August 10) denied reports in some media of a “suspect case” of EVD in Chennai. “The department of health, Government of Tamil Nadu, has informed the central government that a person had indeed landed at Chennai airport from Guinea on August 9. He was checked for symptoms and was found healthy. However, the health authorities of the state are monitoring his health,” he said. WHO had informed that one Indian passenger had travelled on the same flight in which Ebola virus patient (foreign national) was travelling from Monrovia to Lagos. This Indian passenger is back in India. He has been tracked and his health is being regularly monitored. “We are happy to share that the said person is healthy, fit and fine,” Dr Harsh Vardhan said on Saturday. 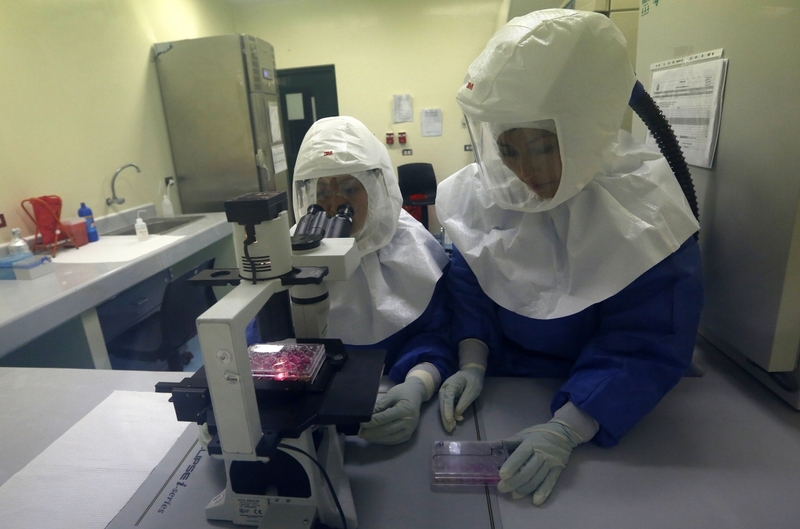 On August 8 (Friday), WHO declared a public health emergency of international concern after an abnormal rise in the incidence of the dreaded infection this year. Within hours the union health ministry unravelled its advanced surveillance and tracking system. A 24-hour helpline (011 – 23063205, 23061469 and 23061302) was also opened, which has been functional since Saturday. In New Delhi, the Ram Manohar Lohia Hospital has been identified for treatment and management of any case of EVD. The health ministry was alerted by WHO about a traveller who landed in New Delhi on July 20 as a confirmed case of EVD. He was later traced to Dwarka in South-West Delhi and was found to be healthy. There has been a rise in the number of young Indians diagnosed with knee arthritis and other problems of joints and ligaments, a health expert said. “Arthritis or the damage that sets up in our body joints is considered a problem associated with ageing. Loss of cartilage, depleting calcium, wear and tear of the ligaments, or excessive weight have contributed to the onset of arthritis. “However, we are now seeing a rise in the number of younger patients with osteoarthritis, Rajeev.K. Sharma, senior consultant and orthopaedic and joint replacement surgeon at Apollo Hospital, said here in a press conference on the occasion of the “National Bone and Joint Day” Monday. Sharma highlighted on the need to create awareness among young people and having a healthy lifestyle. “Obesity, lack of exercise, injury in bones or muscles, hereditary defects in alignment of legs, faulty lifestyle and absence of physical activity lead to early degeneration of muscles and cartilage around the joints,” he added. According to experts, though the number of young patients with arthritis might be barely 10 percent, it is important to encourage youngsters to walk, cycle and perform regular exercise. One person died today from Encephalitis while five new cases were reported from north Bengal, a senior health department official said. 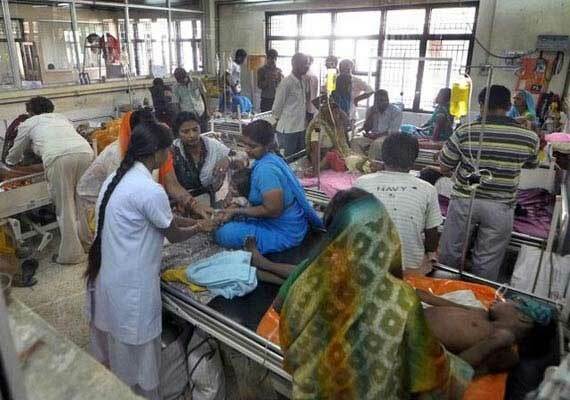 “The toll in West Bengal rose to 117 since January this year after a patient, who was admitted few days back, died today at the North Bengal Medical College (NBMC),” state Health Services director Biswaranjan Satpathy said. 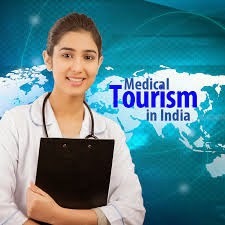 Five new cases were reported from different hospitals in north Bengal, he said. Another person, hailing from Assam, was today admitted at the Calcutta School of Tropical Medicine here with signs of suspected Japanese Encephalitis, he said. “We are suspecting it as a case of Japanese Encephalitis. Tests have been conducted and we are waiting for the results,” Satpathy added. 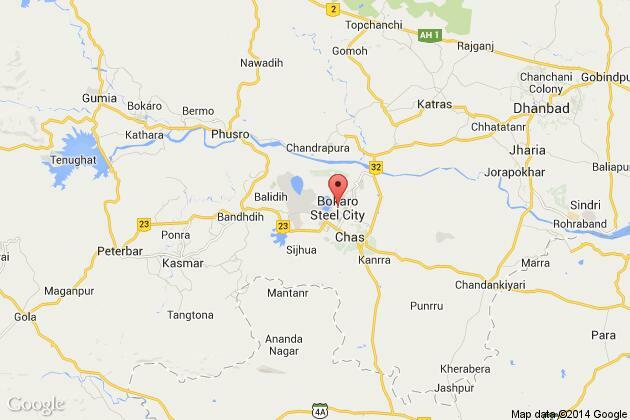 In a bizarre incident that occurred in Bokaro district of Jharkhand, a 17-year-old girl was ‘transformed’ into a boy due to chromosomal changes in her body. The girl-turned-boy has named himself as Server Haider. Doctors of the medical board have confirmed the news of the transformation. Acording to a Bhaskar report, Server’s father, Haider Ali, sent him to the medical board to get him examined for his medical fitness. After conducting Server’s medical check-up, a team of three doctors were surprised to realise that the boy’s name was registered in the ‘female’ category. Witnessing this, they sent him to the women’s medical department in Sadar hospital, where the doctors transferred his reports to higher authorities for proper examination of his choromosomal activities. Doctors have said that such situation arises, when the body starts taking shape into a different form, due to chromosomal changes, which results in conversion of a girl into a boy. 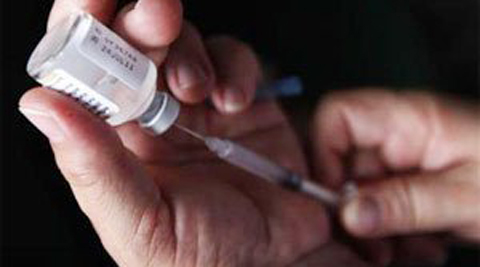 India introduced 4 new vaccines as part of the Universal Immunization Programme on Thursday. Three new vaccines were introduced for children to fight the menace of rotavirus and rubella. For adults, a vaccine to combat Japanese Encephalitis was introduced, especially in high-priority districts. Speaking on the new development, Prime Minister Narendra Modi assured that the government will ensure that the benefit of vaccination reach all sections of the society. The PM also said that the vaccines have been introduced with the purpose of reducing child mortality by two-thirds. The move was welcomed by health authorities across the country. Vice-president of the Public Health Foundation of India, Ramanan Laxminarayan said that the new vaccines will enable the government to save the lives of thousands of children. Laxminarayan also said that significant efforts are also being made on the part of the government to increase maximum vaccination coverage. Laxminarayan also termed the development as a huge success in child health. 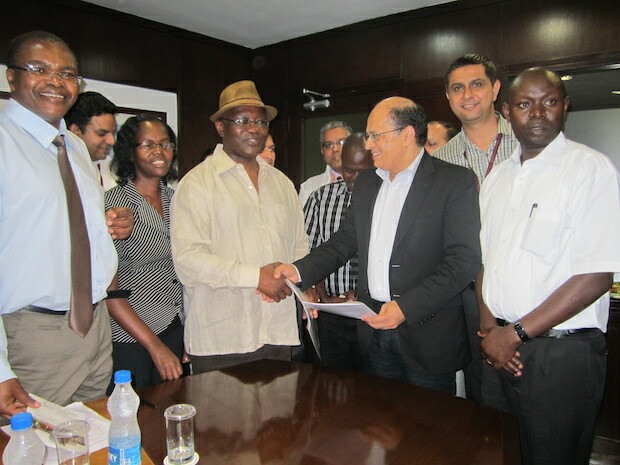 BLK Super Speciality Hospital (BLK SSH), New Delhi and Kenya’s Kisii Teaching & Referral Hospital (KTRH) and Kisii University have signed a memorandum of understanding (MoU) under which BLK SSH will provide quality healthcare and training for Kisii University through an observership programme in areas of urosurgery, orthopaedics surgery, plastic surgery and neurology. The hospital will hold class at the university and referral hospital to help in the capacity building of the medical staff. LK SSH will organize OPDs at Kisii University for providing diagnosis and treatment of renal conditions, laparoscopic surgery, general surgery, gynaecology surgery, cardiothoracic surgery, cardiac surgery, endocrinology, pulmonary, IVF, organ transplant, joint replacement, oncology, critical care medicine and telemedicine. According to Kapoor, specialist doctors from various departments of BLK SSH will visit Kisii University to provide campus training to medical staff at the university. BLK SSH will also help KTRH and Kisii University to start the facilities of telemedicine centres for offering medical services through tele-connectivity in the field of high-end territory and quaternary cases.